One swallow doesn't make a summer - so goes the old proverb. 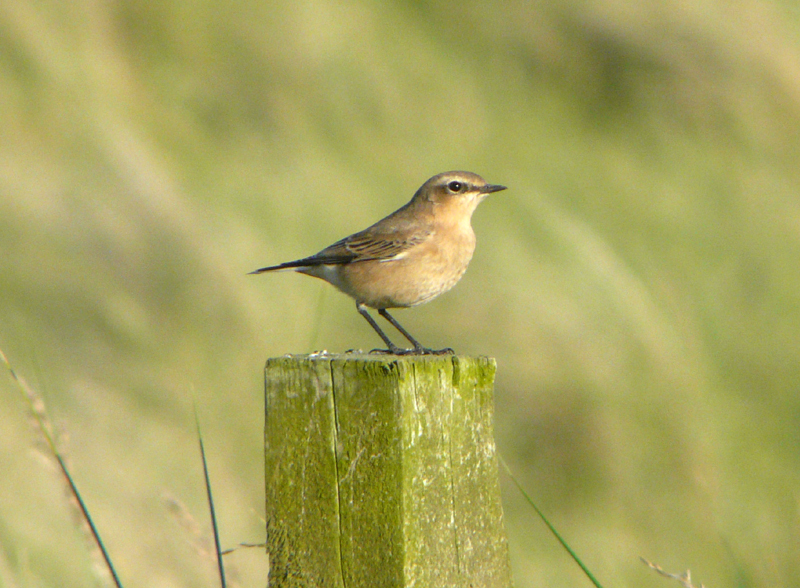 but, a wheatear back at Druridge, that's it, it's definitely Autumn, no doubt whatsoever! It felt like Autumn last night at Druridge too, cold and damp by dusk when I arrived at Druridge to look through the gull roost on the beach which is now building up nicely at low tide. Out in front of Druridge there were about 1500 gulls, 75% of these were common and the other 25% black-headed's with a few lesser-black-backed and herring about and a single med gull. Also on the beach were 30 common tern, 8 arctic, 2 roseate and 12 sandwich. 8 curlew and 2 whimbrel. Just north of the patch, at Chibburn mouth there were another 2000+ gulls at dusk. tonight they were mainly concentrated just north of the burn at Hemscotthill. When I left Druridge last night, I drove to the north end to turn around and check for owls and bumped into Tom Tams and Tim Sexton, setting up for a mothing session. So i stayed to watch - great fun, we caught 45ish species in two hours. The most numerous were shaded broad-bar, white-line dart, six-striped rustic ans smoky wainscot. there were quite a few drinkers about too, but my favourite was just about last moth of the night - pebble hook tip. a) There are too many charvas at Druridge, camping, burning our poles or crapping in the rides. 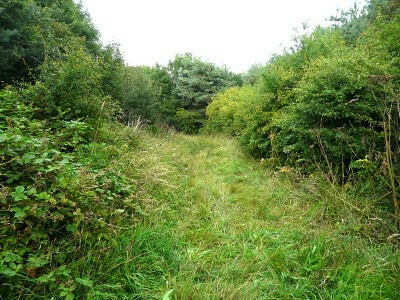 c) The winter - no birds at Druridge in winter whereas this site could hold thrushes and finches I reckon. the other bonus is it is at the end of my street, it is a former bit of colliery spoil, reclaimed and planted with trees, there are a few old oaks and ash in one corner. 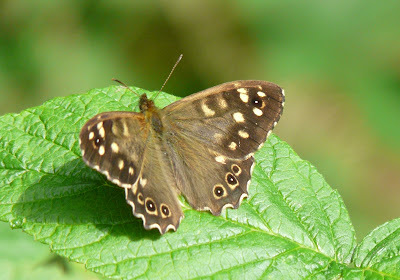 This splendid speckled wood was there on Sunday. 'A wheatear back at Druridge' on 9th August? 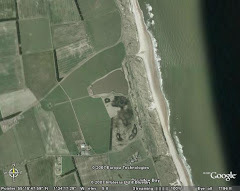 We saw one flitting between the fence posts on 12th July while walking along the track from Druridge to Chevington. No kidding.